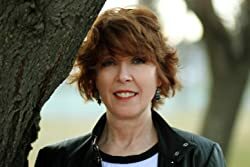 Colleen Helme is the author of the Shelby Nichols Adventure Series, a wildly entertaining and highly humorous series based on Shelby Nichols, who has the ability to read minds. When asked if that is an ability she would want, Colleen says, "No way...it gets Shelby into so much trouble that I can't imagine it, but it also makes it fun to write about her and her crazy adventures." Please enter your email address and click the Follow button to follow Colleen Helme!